Universal Audio have worked in close partnership with Empirical Labs and its founder, Dave Derr, to introduce the Empirical Labs EL8 Distressor Compressor plug-in ($299£228) for UAD hardware and Apollo interfaces as part of UAD Software v9.4. The plug-in is an end-to-end circuit emulation of the legendary compressor and is described by Derr as "significantly better in accuracy and operation than the other plug-ins that try to copy its vibe and sound”. While that claim is as yet unsubstantiated, the plug-in certainly has a formidable provenance. Upon its introduction in 1993, the original hardware EL8 Distressor quickly became a must-have for compression due to its versatility, quick attack and sonic colouration. The UAD Distressor plug-in provides all the same functions as the original but also adds wet/dry parallel processing, and a Headroom control for customisable operating level. It also comes with a tonne of presets from top engineers including Jimmy Douglass. 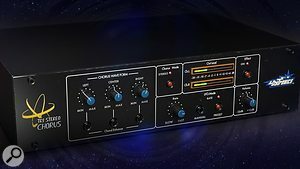 Also new in UAD 9.4 are three new direct developer plug-ins: the Dytronics Tri-Stereo Chorus, the Gallien Krueger 800RB and the Ocean Way Mic Collection for Townsend Sphere. Developed by Softube, The Dytronics Tri-Stereo Chorus ($199£152) is based on the ultra-rare effect made famous by ’80s LA session royalty — including Michael Landau, Steve Lukather, and Dann Huff. 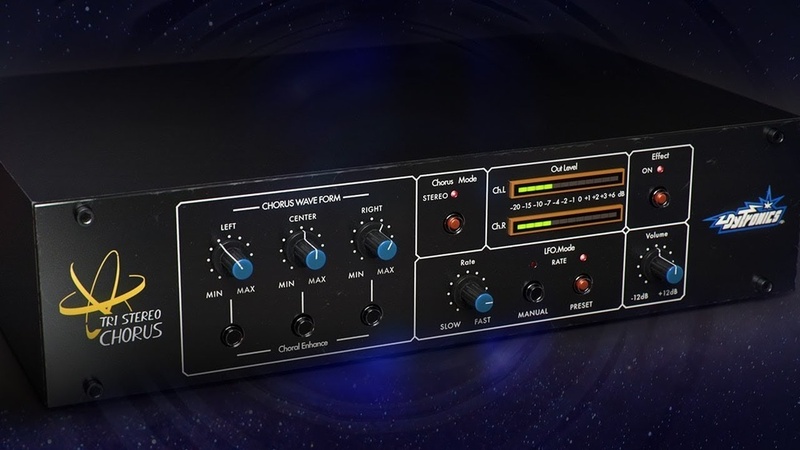 The plug-in emulates the original’s three bucket-brigade delays for rich, swirling analogue chorus textures, say UA. 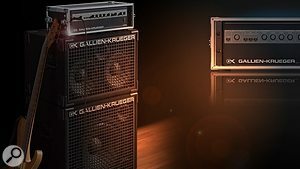 The Gallien Krueger 800RB plug-in ($149£114), developed by Brainworx for UAD emulates the solid-state bass amp used by artists like Red Hot Chili Peppers, Radiohead, No Doubt and Guns 'n’ Roses. 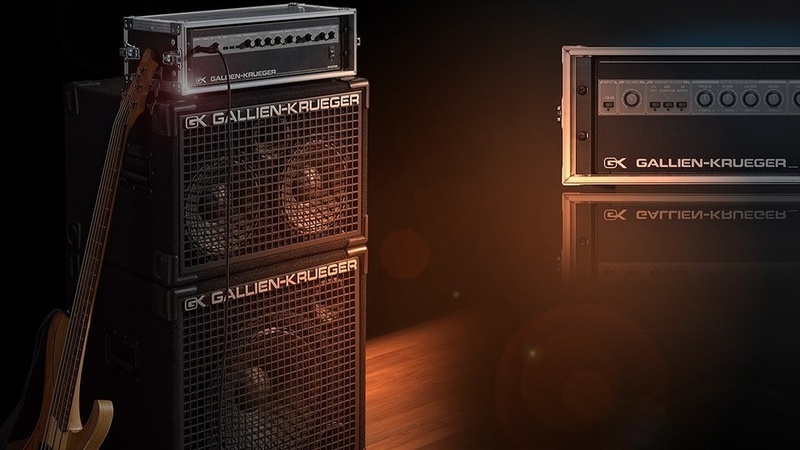 The Gallien-Krueger 800RB plug-in emulates the original hardware’s bi-amplified architecture, providing two different power amps — one for the lows and one for the highs. An adjustable crossover allows you to control which frequencies go to which power amp, and each has a master volume knob, making it easy to dial in just the right amount of bass or bite. Finally, leveraging their Sphere modelling microphone technology, Townsend Labs have teamed up with Ocean Way to capture the best microphones from Allen Sides’ much-admired mic locker. 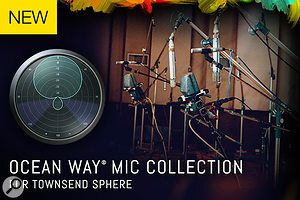 The Ocean Way Mic Collection ($249£190) features 12 mics from the likes of Neumann, Sony, RCA, AKG and others. The Townsend technology means that proximity effect, polar patterns, and the other off-axis characteristics of vintage microphones can be modelled.